One Good Marriage, written by Toronto playwright Sean Reycraft, was the winner of NOW Magazine’s award for Outstanding New Play at the 2002 Summerworks Festival. 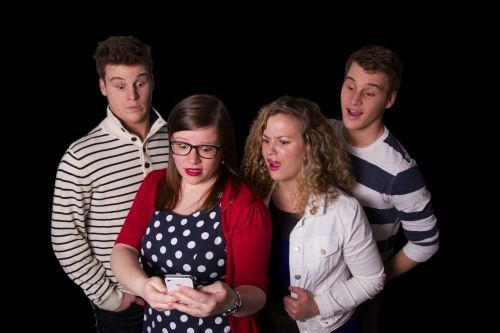 So I was very eager to check out Staircase Theatre’s production at the 2015 Toronto Fringe Festival and am I ever glad I did. 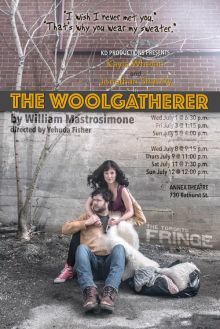 The Woolgatherer, by William Mastrosimone, marks KD Productions inaugural performance as a company at this year’s Toronto Fringe Festival. Centred around the theme of boy meets girl, Mastrosimone’s atypical love story pins two characters, who are complete strangers to each other, together in one room for the entirety of the play. This makes for one heck of an emotional journey as they proceed to reveal themselves to each other as the play progresses.